Over the past two days, Tesla hosted a special Model 3 delivery event at its Fremont factory. 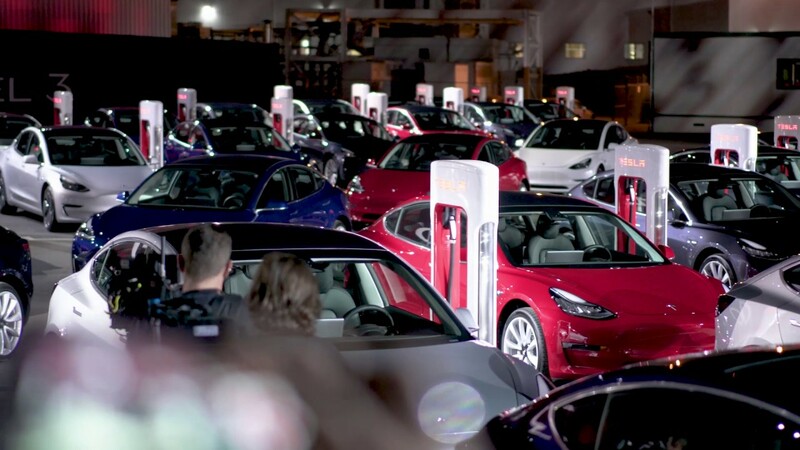 The ‘first come first served free-for-all’ event saw hundreds of Model 3 buyers drive away in their brand new cars after being fast-tracked through documentation and payment. Although the Performance Model 3 Dual Motor and the All-wheel-drive variants were the first to be sold out, Tesla has given shorter delivery timelines for customers who had late-September delivery commitments but made it to the event. Those who didn’t see their preferred variants on the lot were also told that a few more cars were kept in the back somewhere and would be brought to the lot. Hundreds of cars were reportedly moved through the weekend, possibly paving the way for Tesla to hold more of these special delivery events in different cities where order levels or reservation levels are high. Such a move would also help keep inventory levels low and put even more pressure on Model 3 production lines at GA3 and GA4 to keep ramping up. Musk indicated in an email to employees last week that Tesla would be producing and delivering more than twice the number of cars in Q3 than it did in Q2. Although he did not mention if that would be true for the Model 3, we can deduce from other clues that the popular electric sedan could hit production levels very close to 60,000. That was the number we’ve been estimating throughout the quarter. Bloomberg’s Model 3 tracker currently shows under 4,000 Model 3s being produced per week, but that’s primarily based on VIN registrations, which we know have slowed down over the past couple of weeks. However, the highest VIN registered for the Model 3 is already well above 100,000. That’s a very real clue that the 100,000th Model 3 could be produced this very month, as you’ll see in this article linked below. Tesla’s stock price has plummeted since its August peak of nearly $380 and is currently trading at around $263 – perilously close to its 52-week low of $244. The stock has been known to move with news, so if Tesla manages to breach the 60,000 production mark for the Model 3 in Q3, it’s very likely going to be a breakout quarter. Considering the media’s microscopic perspective on everything Tesla CEO Elon Musk says and does, it would be wise for Musk to rein in his impulsiveness just a little bit and maintain focus on getting the numbers everybody is looking forward to this quarter.